Born in Cremona (Lombardy, Italy) circa 1114. The main source of information about his life is the Eulogium, written by his disciples and associated (socii) eafter his death and inserted as an appendix to his translation of Galeno’s Tegni . According to it, he received his scientific and philosophic training in his hometown, and was very eager to read Prolomeo’s Almagesto. Unable to find it in his country, his interest took him to Toledo, a city well known by its compilations of Arab books. 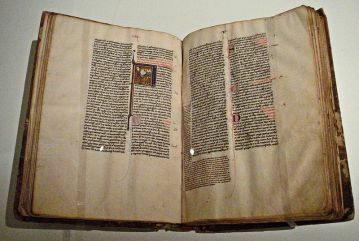 His presence in the Spanish city is supported by documents of the Cathedral’s Cartulary from May 1157 until March 1176. He was a member of the Council of Canons and became deacon, as revealed by those documents in which he is referred as “Girardus”, “magister Girardus”, “Ego G.(eraldus) dictus magister” and “Geraldus diaconus”..
Other than the Almagesto(whose translation was finished in 1175), he found in Toledo several Arabic versions of Greek and Latin classics, as well as original treatises in Arabic. His interest for those books compelled him to remain in the city and to learn Arabic in order to translate them. In the Eulogium, his disciples included a list of more than 70 works translated by Gerardo, among them Works by Aristotle and his commentators, Euclid, Hippocrates, Avicenna, Al-Kindi, Al-Farabi or Al-Khwarizmi. Later sources increase that number. Some authors express their doubts about the authory of such a big number of translations. 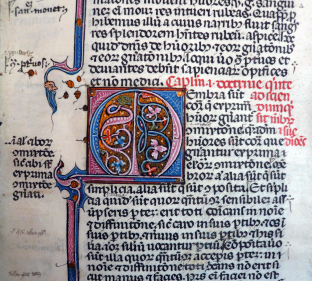 Others have questioned his knowledge of both Arabic and Latin, repeating the words of Roger Bacon in the 13th century: “Arabiae linguae parum peritus, latino idiomate satis inculto.” No matter the rightness of those critics, the value of Cremona’s work in the restoration of classic culture is undeniable. It seems more reasonable that he created a net of disciples and collaborators around him, in which works were translated in a collaborative way (like the Almagesto with Galib the Mozarab, as narrated by Daniel de Morley), establishing relations master-disciple and making efforts to search and compile texts and compare versions, therefore creating a coherent corpus not limited to the available sources. This corpus represents the scientific and philosophic canon of the time. About his death, there are different versions. It seems that he died in Toledo in 1187, aged 73, as his associates explain. Nevertheless, some authors state that his corpse (as well as his library) was taken to Cremona and buried in Santa Lucía or Santa María, or even that he died in the Italian city.